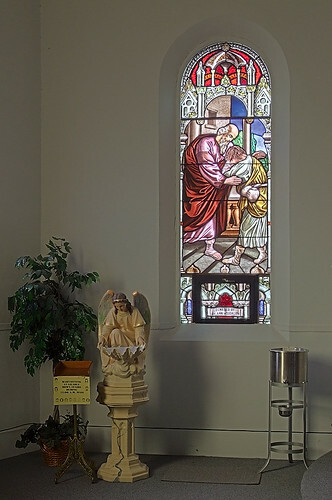 HERE ARE PHOTOS of Saint Joseph Church, in Bonne Terre, Missouri. 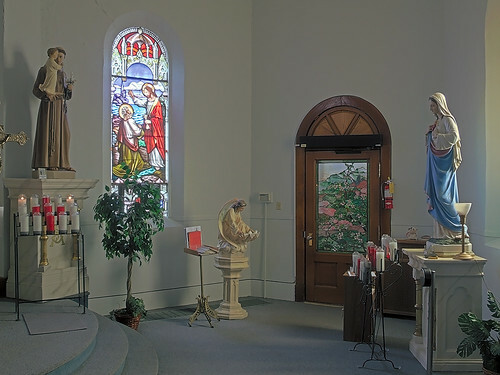 The church is located about 59 highway miles south-southwest of downtown Saint Louis, in Saint Francois County. The town was settled by the Kingdom of France in 1720 upon discovery of lead ore in the area. Its original name, La Bonne Terre, French for "the Good Earth", refers to the richness of its mineral deposits. 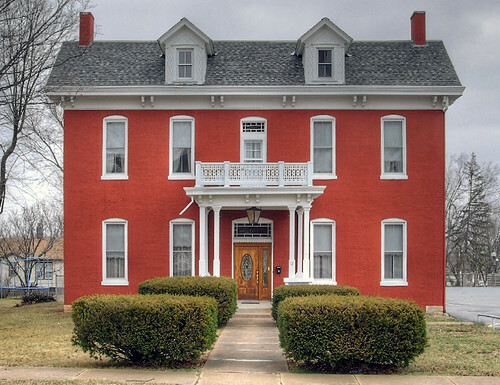 Saint Francois County, originally a colonial district, is named after Saint Francis of Assisi. Large piles of mine tailings are seen in the area, and you can tour and scuba dive in the vast mines underneath Bonne Terre. These photos were taken on January 13th, 2008. 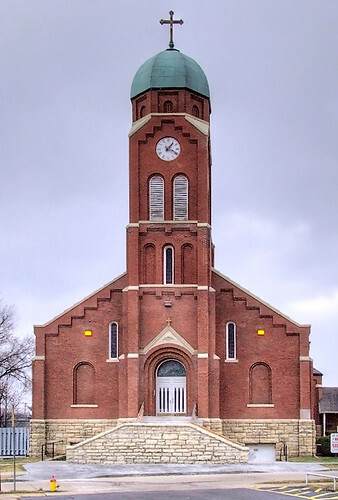 The St. Joseph Church is the house of worhip for Catholics in the St. Joseph Parish. 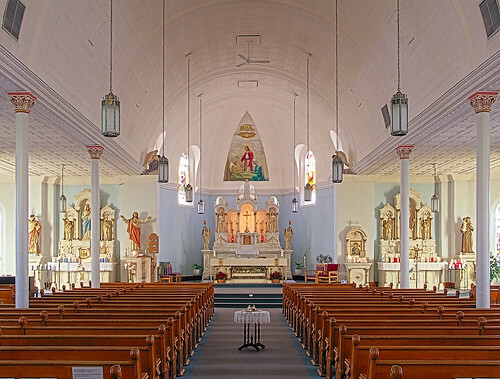 The parish and a church were established in Bonne Terre in 1872 as a mission of Old Mines. Before the Civil War the congregation was housed in a small church just north of town. 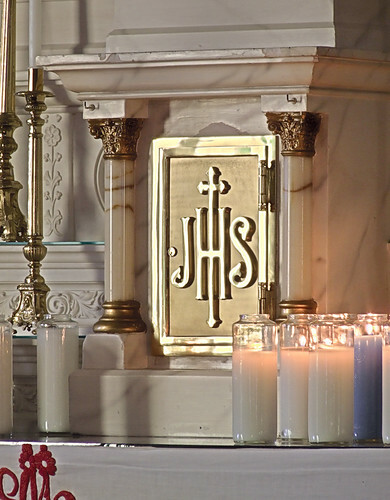 It was assigned priests from nearby parishes. The first church in Bonne Terre was built by Father Daily in 1873. This structure burned down in 1879 and was reconstructed in 1881. 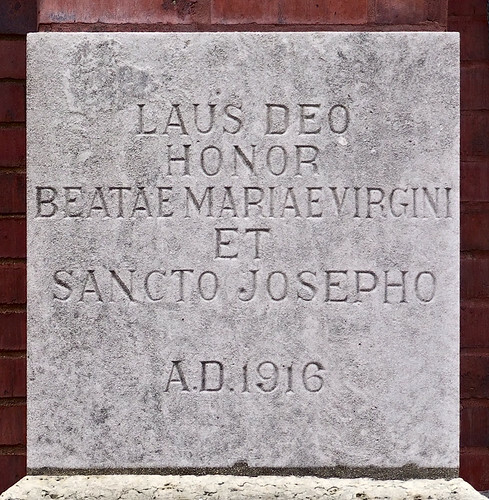 1879 is also the year St. Joseph became an independent parish. The Desloge Lead Company donated the land for the second church and contributed to its construction. Rev. E. J. Dempsey, the first resident priest, supervised construction of this church. 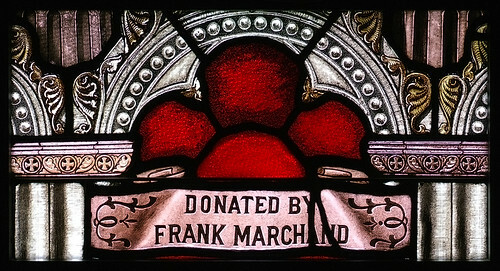 To the church were added a school building in 1885 and a priest's residence in 1888. 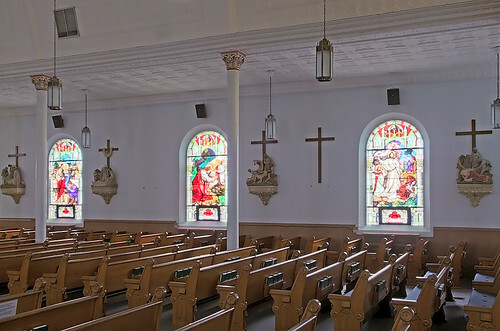 In 1908 the parish began construction of a building to replace the wooden frame church. It was not finished until 1916. During that time the congregation worshipped in the basement of the new church under a temporary roof. A combination school and convent were built at the site in 1906. 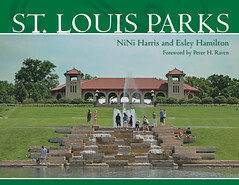 This was staffed by the Ursuline Sisters until its closing in 1969. A new parochial school was built in 1922. 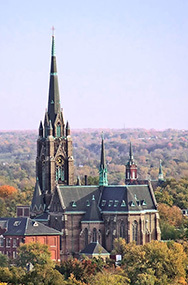 According to the 2008 Status Animarum or ecclesiastical census, this parish has approximately 807 Catholics. 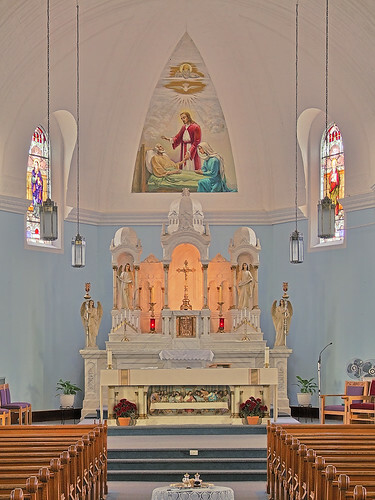 I am always surprised at the exceptional quality of the churches in our Archdiocese. 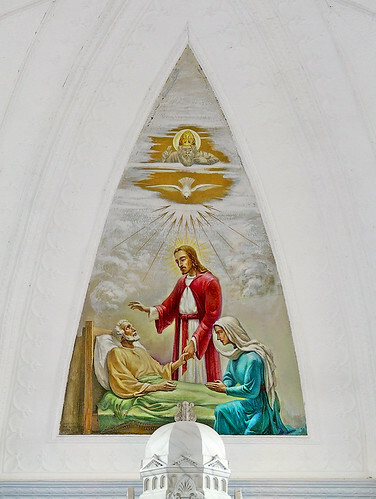 Painting of the holy death of Saint Joseph. 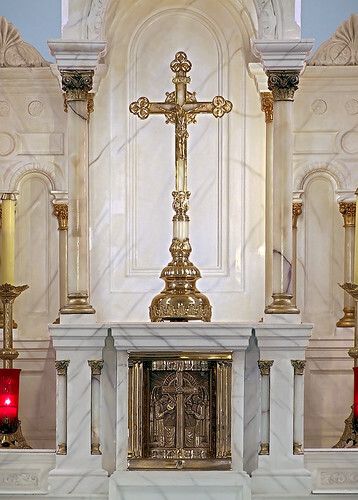 Crucifix and tabernacle in the high altar. 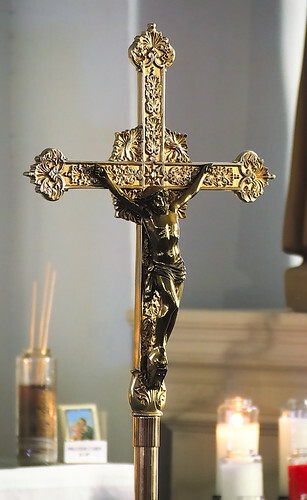 In this photo I managed to digitally subtract the yellow lighting behind the crucifix, as seen in the previous photo. Icon of Our Mother of Perpetual Help. 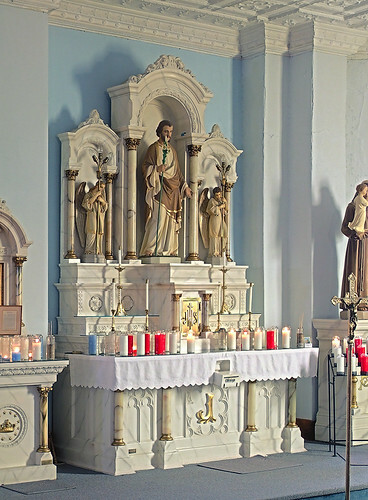 Altar of Saint Joseph, patron of this church. 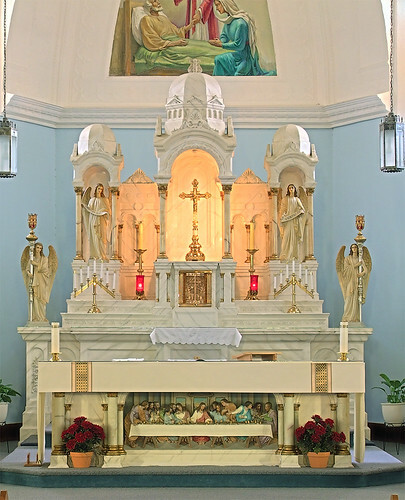 Statue of Saint Thérèse of Lisieux, the Little Flower; and the baptismal font. 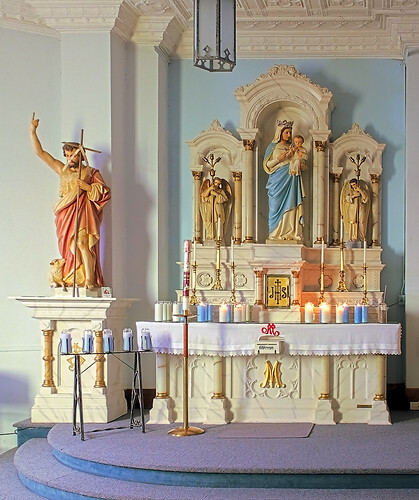 Parishioners purchased the building from the Archdiocese and restored it 1996-1999. The first floor houses a church museum, and the second floor is a luxury rental apartment. 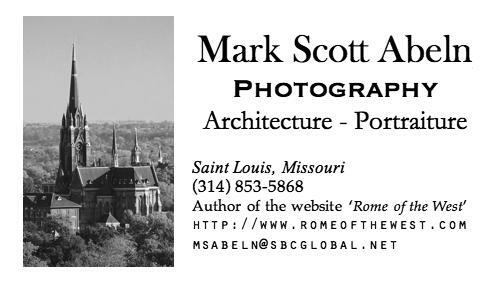 Sunday: 7:00 a.m., 10:00 a.m.
Holy Days of Obligation: 8:00 a.m., 5:00 p.m.
You are getting to be one of the best architectural photographers working today. Congrats on such a beautiful set of photos! 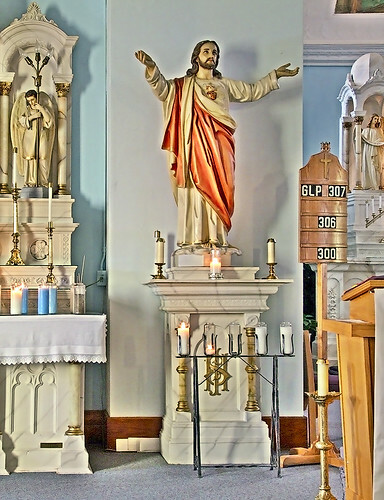 That is not a statue of the Risen Christ - it is John the Baptist. Actually, I owe you much credit: you recommended that I photograph the Immaculate Conception Cathedral in Springfield, Illinois. Considering the problem of adequately representing this magnificent church in images, led me to take my photography far more seriously, especially considering the differences between how the eye versus the camera sees things. Originally, I found my photos rather disappointing, since they missed so much detail and color variation that I remembered seeing. 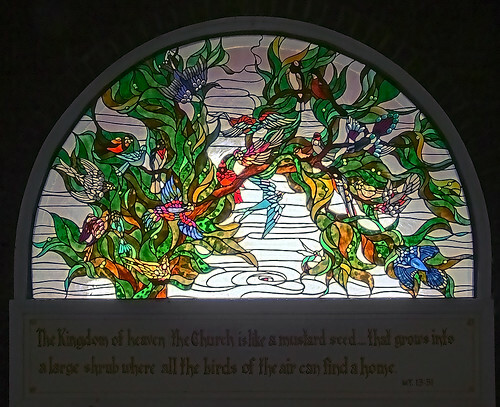 what a beautiful church, and the photography is excellent! I haven't visited here in a while, but it is always a pleasure to do so! Your photography is breathtaking. Thank you so very much. 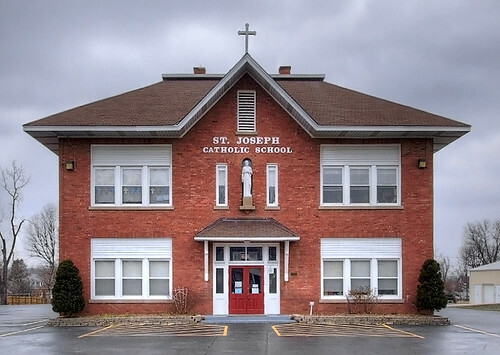 My parents grew up in Bonne Terre and attended St.Joseph Church and school. My Grandfather headed up the campaign to build the current Church. As a kid I remember the ushers ringing the church bells by pulling the ropes. 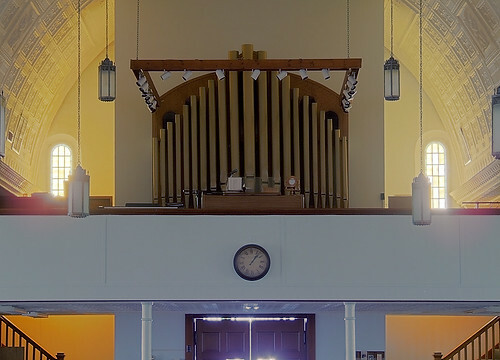 At one time there were massive oak doors on the front of the church but the current pastor had them removed and replaced with the ugly doors you see today....the story is that the doors ended up in a home at Terre du Lac??? 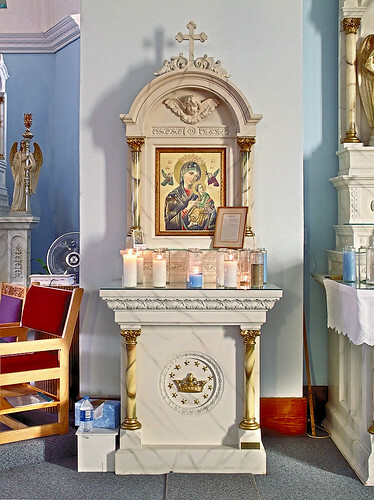 I am a parishoner, and came across these photos of our church. What is the name of your grandfather, who headed up the campaign? How much money was raised, etc.? 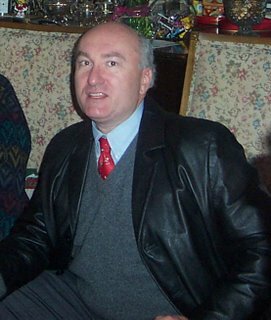 It would have been done during the pastorate of Father Mathias Sevcik. 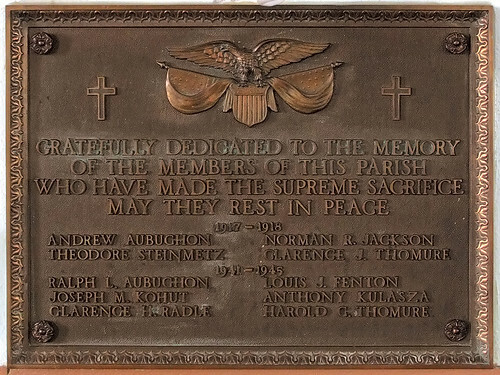 I am compiling a history of the parish, and would appreciate this information. The old rectory is now a museum on the downstairs floor, and an apt. upstairs. I would gladly let you do a tour of the museum at your leisure. I would also be glad to share the historical information compiled to date. William F. Buckley Jr., R.I.P.